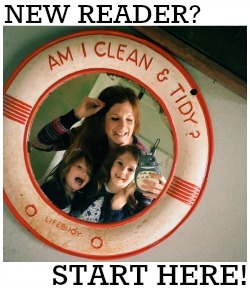 Well there's three words I never thought I'd hear in a blog post title! These past few days we've had torrential rain in Haslemere and, after getting completely and utterly soaked to the bone on my walk back from town on Sunday (we're talking str'eaks of mascara down cheeks and wet undercrackers as well as drowned rat hair and sodden jeans, top and gilet) I decided it was time to check out my waterproof options. I do now live in the country after all. So my first port of call was Barbour. This Redesdale Parka has an entirely waterproof outer and a fleecy lining, as well as detachable hood (and fur trim). I love parkas - and this one is practical as well as stylish. RRP £199. I then discovered TargetDry after someone tweeted me a recommendation. 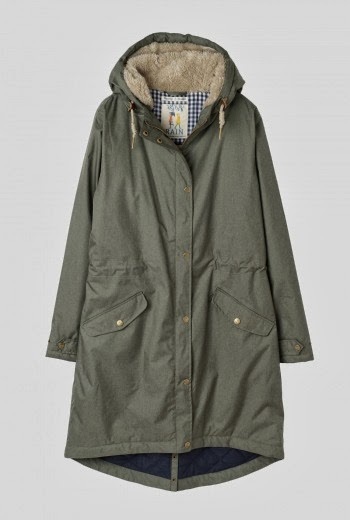 Another parka, the Georgia is currently out of stock due to popular demand (I can totally see why!) but I'm informed they will be back on sale at the end of November. 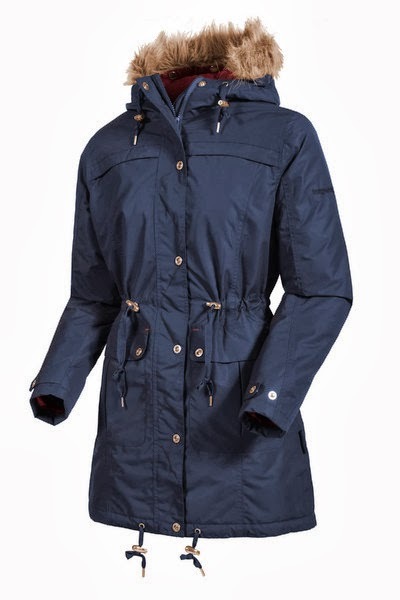 This coat is waterproof and windproof and a 3/4 length which I love. Available in beetroot red or indigo blue, RRP £74.99. I totally need an Ilse Jacobsen classic long waterproof jacket in my life. How adorable are they in red? I love the vintage feel they have to them - and you can also get a matching hat! These are available at Surfdome for the RRP of £119.99. 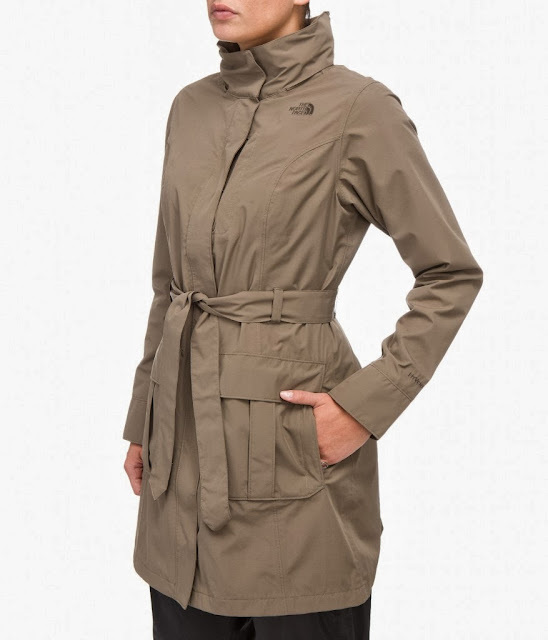 What are your thoughts on this Stella Grace trench coat style coat from The North Face? I love the colour and it's definitely the smartest waterproof jacket I've seen, plus The North Face is famed for being the brand for all weathers. The hood has an adjustable drawcord and is stowable for when it's dry, and the belt is removable. It's currently on sale at Cotswold Outdoor at just £120 (RRP £200). L O V E them all. 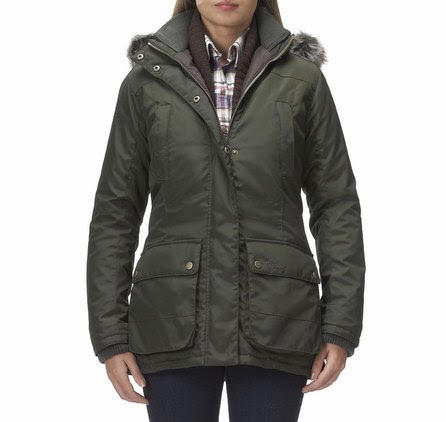 I have a lovely black waxed Barbour jacket, but am loving my American Apparel green parker with faux fur hood and bright orange lining- very retro! Who knew there were actually some stylish waterproofs out there?! A great selection, they all tempt me!